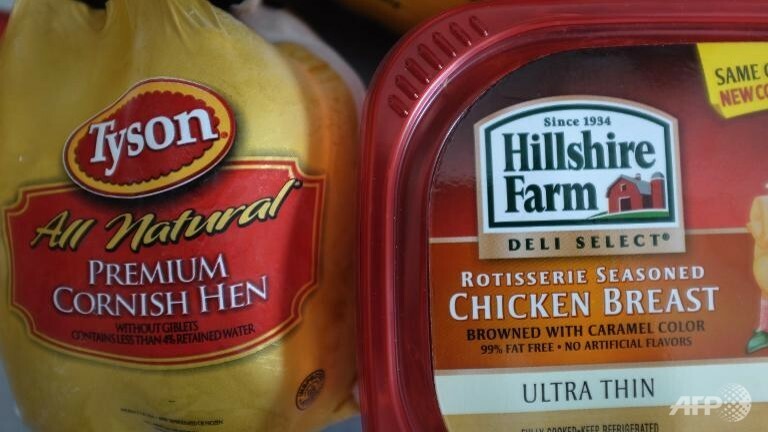 Tyson Foods Inc the largest meat processor in the United States won antitrust approval in the U.S. on Wednesday for its purchase of $8.5 billion for Hillshire Brands. To gain that approval for the pending merger, both companies had to agree to sell Heinold Hog Markets, said the U.S. Justice Department. The attorneys general for Illinois, Iowa as well as Missouri all big states for producing hogs, joined the agreement. The two companies together purchase about 35% of the entire sows sold within the U.S.
Tyson’s stock price rallied after the announced of the approval, it increased by up to 2% prior to closing up 1.5% at $37.70. However, only 10 minutes prior to the announced deal by the Justice Department, the prices of stock for both companies fell sharply with large increases on options and stock volume, suggesting that investors were expecting bad news. The trading volume totaled 8.06 million shares for Hillshire compared to the average for 50 days of 2.54 million. Of the total for yesterday, nearly 5.5 million came only minutes prior and following the statement released by the DOJ. Tyson, based in Springdale, Arkansas, is a huge seller of beef, pork and chicken while Hillshire based in Chicago sells packaged brands of meat like Ball Park, State Fair and Jimmy Dean, along with bakery products such as Sara Lee. The two companies have an overlap in buying sows when they become too old for breeding, said the DOJ. Heinold Hog Markets has its operations in six states including Nebraska, Minnesota, Michigan, Indiana, Iowa and Illinois and revenues that exceeded $270 million in 2013. The company buys the sows from different farmers and resells them to different manufacturers. Hillshire buys the sows to make their sausage for Hillshire Farm and Jimmy Dean brands. The deal was criticized by some consumer, rural and farm organizations along with lawmakers such as Charles Grassley a senator from Iowa, who worried a larger Tyson, would have too much power and push prices down it pays to hog farmers and drive prices up paid by the consumer for the final product.